Sleek! Strong! Sporty! This Polaris Outlaw is so cool all your child?s friends will want one too. All terrain knobby wheels provide traction on grass, dirt, gravel or pavement. 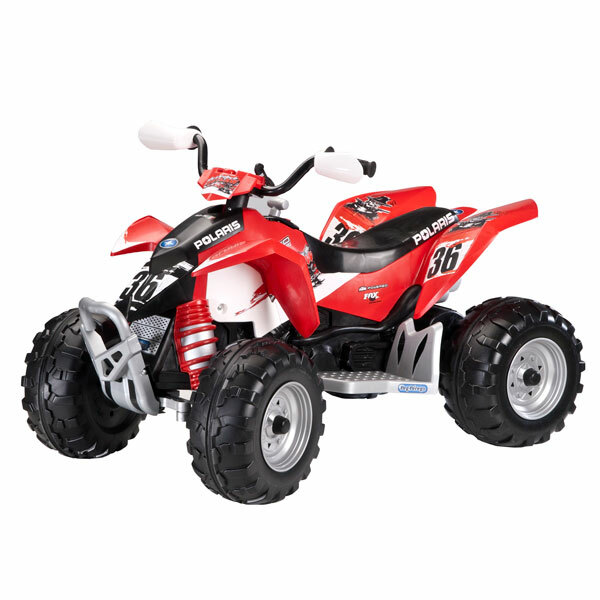 This sporty looking ATV has a longer riding time and automatic brakes. With a 2-speed gearshift, it travels at 2½ or 5 mph, plus reverse. 12-volt rechargeable battery and charger included. •All terrain wheels provide traction on grass, dirt, gravel or pavement.